CAMDEN, N.J. (WPVI) -- The Camden County Police Department is looking for a missing 14-year-old girl from East Camden. 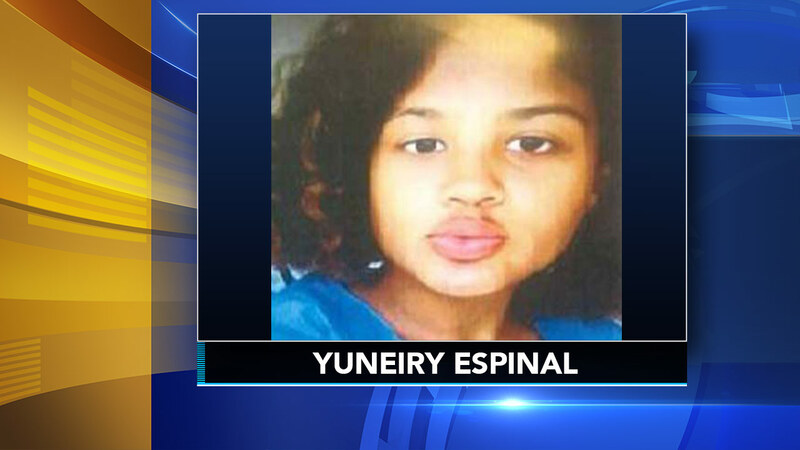 Yuneiry Espinal was reported missing Sunday from her home on the 400 block of Beideman Avenue. She is described as a Hispanic female, 5'2, 120 pounds, with brown hair and brown eyes. She was last seen wearing a white t-shirt and blue shorts. Anyone with information on her whereabouts is asked to call the CCPD tip line at (856) 757-7042. Arrest made after child missing for nearly 2 years found in Pa.